Hurricanes, rainstorms, tidal surges, or tornados can cause flood like situations, damage property and cause widespread devastation. The worst part is; they seldom come without warnings. The intensity and the corresponding impact of the disaster may vary, but it always leaves property owners devastated. Hallandale Beach Restoration Company has been providing restoration services in such scenarios for more than 20 years now. Huge amount of water can enter your property during a flood and can destroy your exquisite wooden flooring or contemporary furniture. Your brand new carpet can be completely washed over by a flood. Water in your basement as a result of a rainstorm can directly attack the foundation of the building jeopardizing the health of the entire structure. Fortunately, the property owners of Hallandale Beach, FL area do not have to be alarmed if they are hit by such situations as all their concerns are waiting to be answered on 954-379-2883. Electrical hazards: The electrical appliances have their connectivity and wiring pass through the floors, walls and ceilings and thus any impact on them can subsequently impact your appliances. This can completely damage the appliance or worse, cause a short circuit and lead to fire. Contamination: Viruses and bacteria dwell in moisture and the higher the absorption of moisture in your walls and floors, greater are the chances of bacteria spreading within your property. 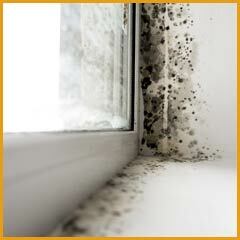 Mold growth: Even the slightest amount of moisture in your walls or ceilings can result in formation of mold that may grow uncontrollably. This is why experts from Hallandale Beach Restoration Company ensure that the affected areas are completely dried to prevent mold formation before we step out of your property on completion of job. Weakens structure: Water can damage the core structure and the foundation of your building as with time, it can slowly erode the materials used in construction. 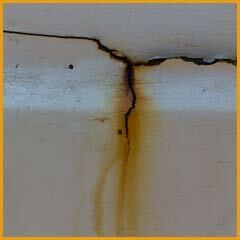 The concrete of walls will also soften up with dampness. 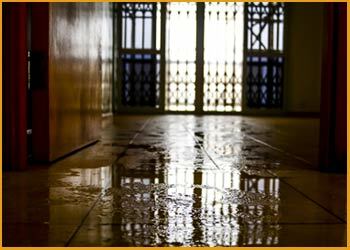 The task of aiding your property against damage must only be handed over to specialists. Our experts restore it to the pre-loss condition in a manner that it would be difficult to believe that it was sabotaged. What is also imperative is that prompt action must be taken to mitigate damage and salvage whatever is possible. #1) Water drainage: First and foremost, complete water is flushed out quickly using pumps so that the next step can be carried out. #2) Remediation: Before actually beginning the restoration, drying out any traces of water left is imperative. Dryers and vacuums are used to carry out the process and the property is dehumidified. #3) Restoration: Based on the damage, repairs or reconstruction on your property is carried out as the last step and any salvageable property is saved. This starts only after the process of drying is thoroughly completed. Faced with a flood? 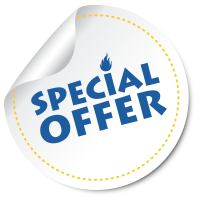 If you live in Hallandale Beach, FL area, give us a call on 954-379-2883 now and leave the rest to us!